Letterpress and screen printed on Colorplan 91 lb. Text in Bright Red, Mist and Sapphire. The landscape scene was printed on hanji (Korean handmade paper) from Jang Ji Bang paper mill in Gapyeong, Korea. A modern interpretation of Shipjangsaeng. or the Ten symbols of Longevity. These Daoist-inspired motifs collectively depict an auspicious life in harmony with nature and are celebrated in the decorative arts by all social classes throughout Korean history. 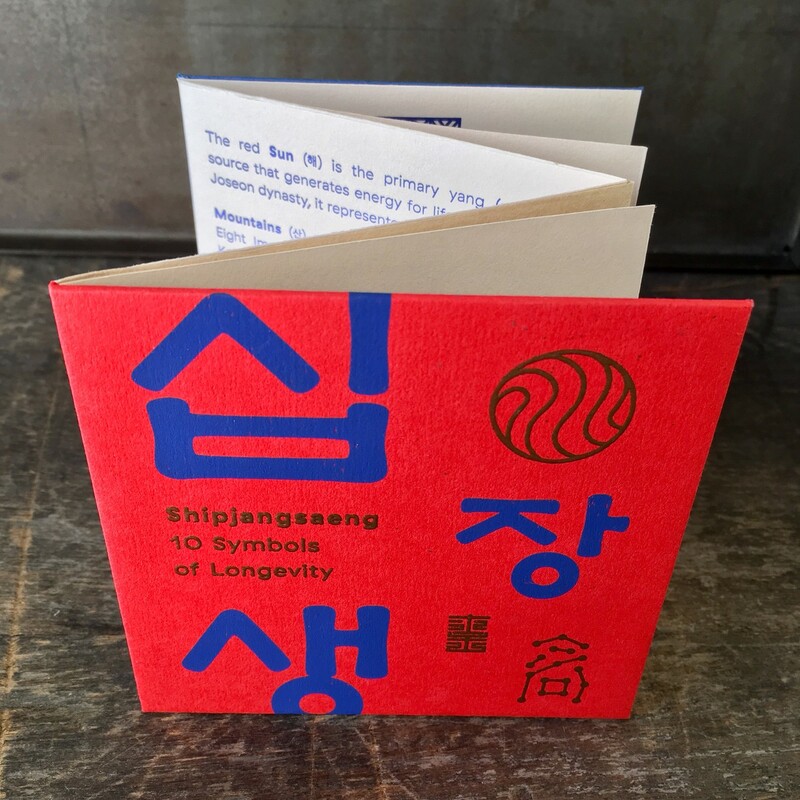 The binding is a T-cut book structure - to follow early Korean bookbinding methods and the shape of folding screens placed in traditional Korean homes, many of which feature calligraphy or landscape scenes like Shipjangsaeng.